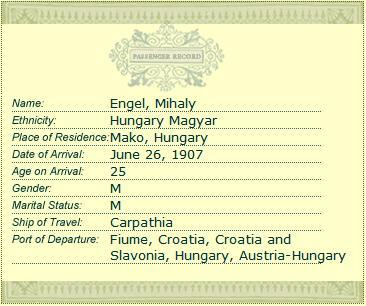 My great grandfather emigrated to the U.S. from Hungary in 1907 with his wife and two young sons (one being my grandfather). In 2002, my mother found his passenger record on the Ellis Island Web site, and forwarded it to our family in email. It contains a detail we didn’t notice at the time. The ship that brought my great grandfather to America was the Carpathia. Less than five years later, this same ship would answer the Titanic’s desperate distress call. To maximize speed, Carpathia’s captain cut off heat and hot water to the cabins and diverted all available steam to the engines. 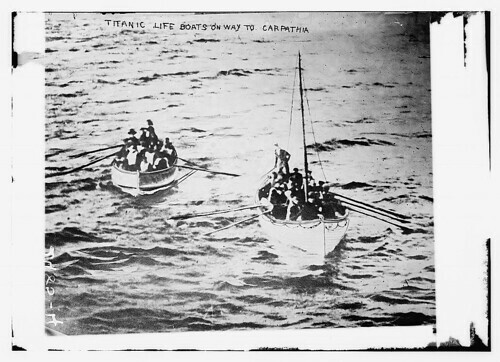 The ship finally reached the Titanic lifeboats at 4am, and rescued 705 survivors. And there’s video – video of the very ship that brought my great grandfather to the U.S., as it returned to port with Titanic survivors. 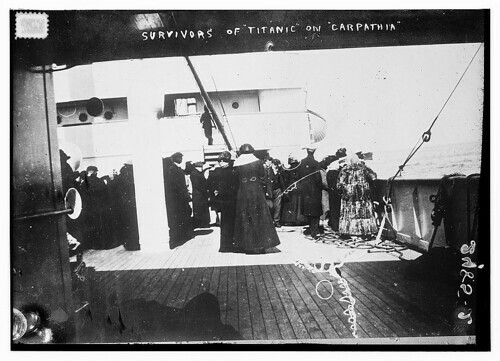 Three short video clips from 18 Apr 1912, as the Carpathia returned to New York from the scene of the Titanic disaster. 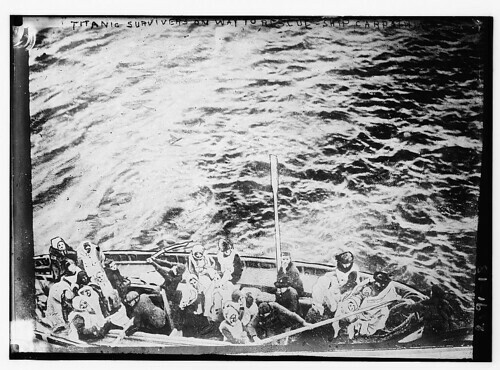 I also found some still pictures taken during and after the Titanic rescue, uploaded to Flickr from the Library of Congress. The Titanic rescue wasn’t Carpathia’s last brush with history. It was sunk near the end of World War I by torpedoes from German U-boats. In 2000, the wreck of Carpathia was found off the east coast of Ireland. I never would have known about our family connection to the Carpathia if my brother hadn’t recognized the ship name while showing our great grandfather’s passenger record to his daughter. She was studying Ellis Island in school. I removed the registration requirement. Hopefully that will not result in spam bombing, as happened in other blogs I’ve had. I have it set so the first comment by a person is moderated, and then after that (having proved they are a well-meaning human) comments are unmoderated. We’ll see how it works!